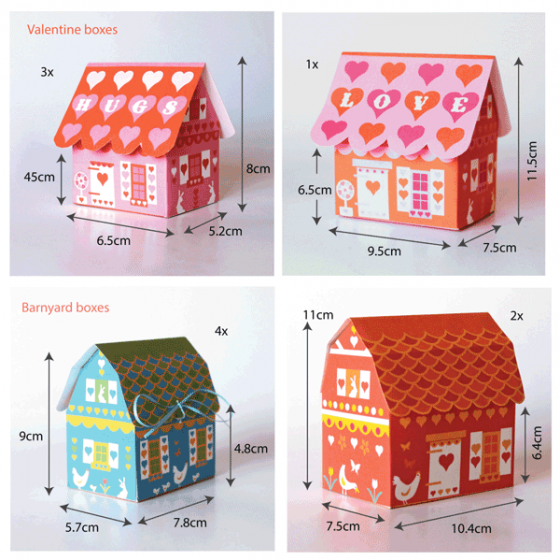 Gift Box templates - Perfect for presents Over 30 patterns and cutouts! Perfect for special gifts or for party favors! Over 30 patterns and cutouts. 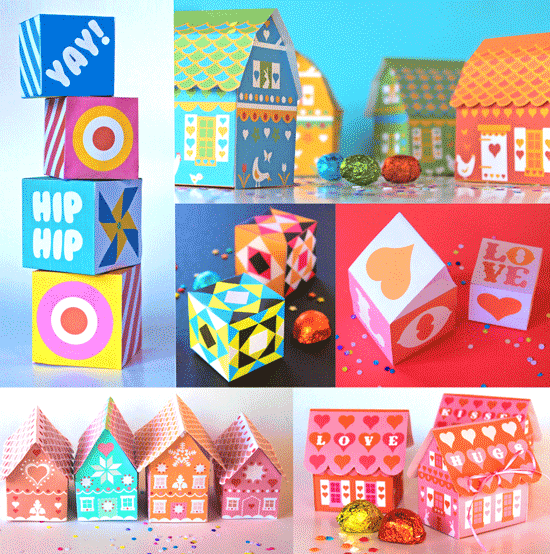 Over 30 fun and colorful gift box templates! The 7 gift box set printable templates are digital PDF files. All the gift box templates come with easy to follow instructions on assembling the boxes. Please note this digital file will be sent to your email address – we won’t print or ship to you! The files will be available for immediate download as soon as your payment clears. Click here or the image below to add to your Happythought shopping cart! 2 larger boxes, perfect for homemade cookies and treats. 16cm x 10.8.5cm x 13.5cm. 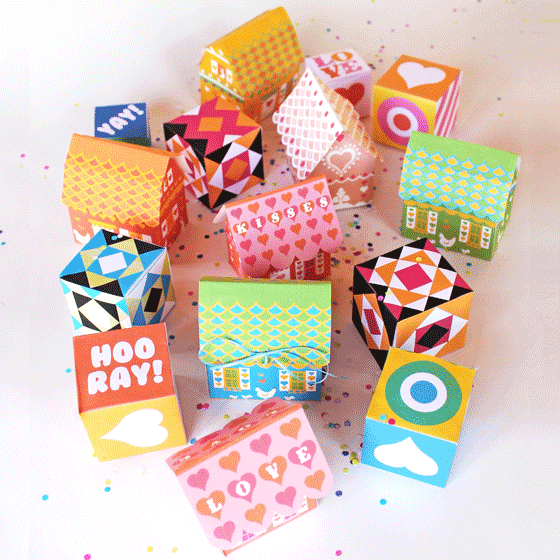 6 bright, geometric cubes, great for party favors or little gifts. 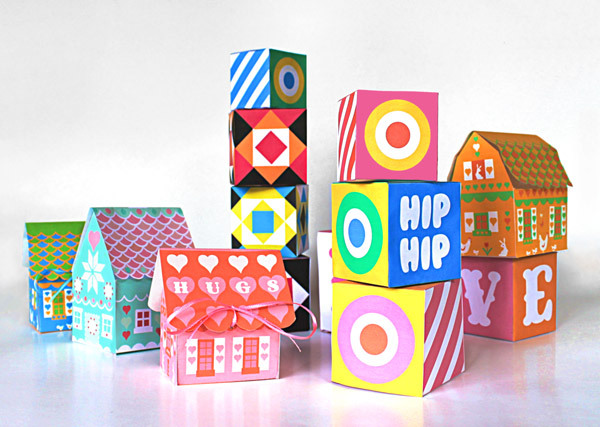 6 gorgeous graphic gift boxes in 3 sizes and 2 color ways. 3 lovely boxes, perfect for a special or romantic gift. 4 cute little cottages for Valentines day. 2 sizes – 8×5.2×6.5 cm and 11.5×7.5x9cm. 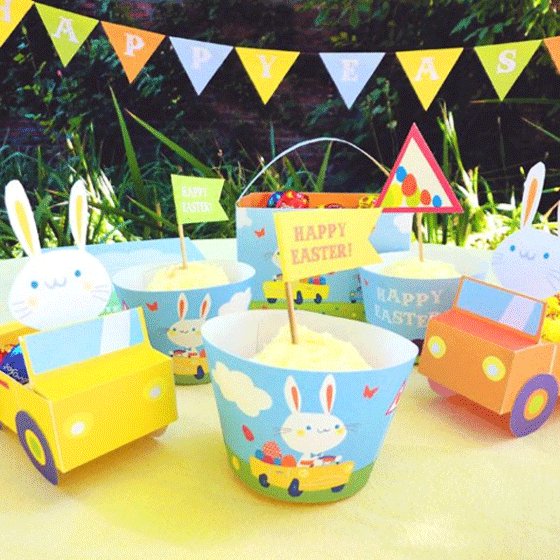 6 perfect for Easter favors, barnyard party or for wedding favors. 2 sizes – 9×5.7×7.8cm and 11×7.5×10.4cm. 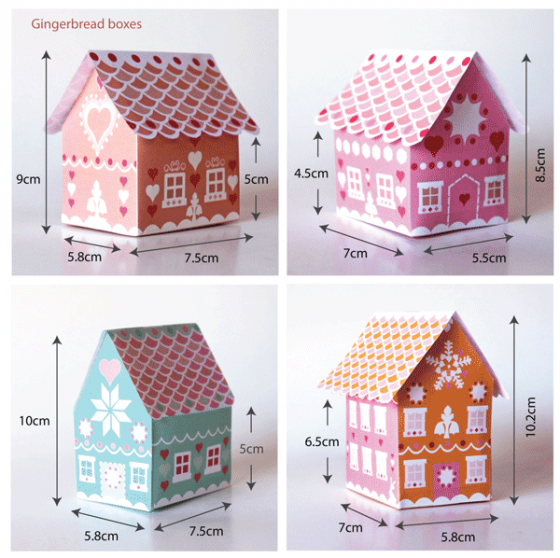 4 little gingerbread gift boxes for the festive season, can also be hung in the tree. 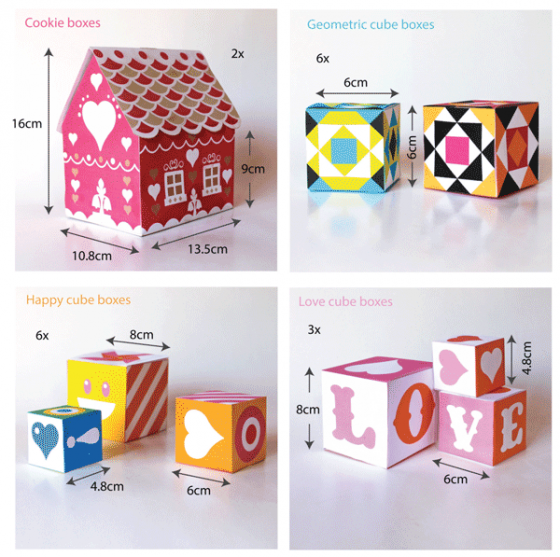 Sizes: 1) 9×5.8×7.5cm 2) 8.5×5.5 x7cm 3) 10×5.8×7.5cm 4) 10.2×5.8×7.5cm. We hope you enjoyed our printable gift box templates!